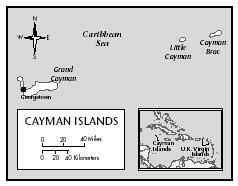 were settled before Grand Cayman, but these settlements were abandoned after attacks by pirates, who continued to use the islands as a hideout well into the eighteenth century. The first census, taken in 1803, showed 933 residents, half of whom were slaves. When slavery was abolished in 1835, most freed slaves remained on the islands. The first constitution was adopted in 1959. Jamaica administered the islands until 1962, when the Caymans opted to remain under British rule as a British Crown Colony after Jamaica became independent. Classes and Castes. The largely affluent, well-educated resident population mixes well, without racial problems or noticeable class distinctions. A cottage on Grand Cayman. Large porches and gabled roofs are not uncommon. Crime, which had been almost nonexistent on the islands, has increased on Grand Cayman, but remains at a low level. 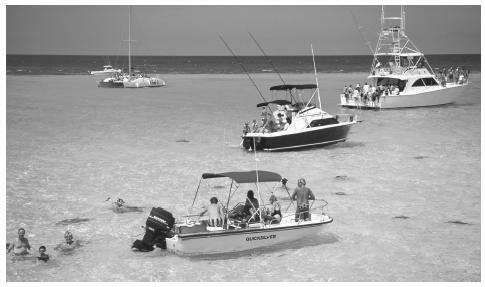 Stingray City is just one of the attractions making the Cayman Islands a popular tourist destination. has been a marked increase in both parents working, or single parents working multiple jobs, and in complaints that parents are "losing control" of their children. Schools follow the British educational system; the government operates ten primary, one special education, and three high schools. 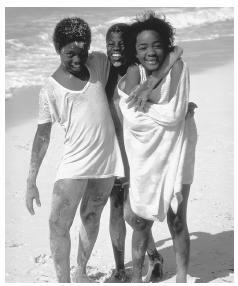 A group of smiling Cayman Island children playing on the beach. There is no natural freshwater on the islands. years; the infant mortality rate, based on a 2000 estimate, is ten deaths per one thousand live births. i FOUND THE INFORMATION QUITE INFORMAL, I SPENT THREE WEEKS IN GRAND CAYMAN AND ENJOYED IT VERY MUCH. i SPOKE TO A LOT OF PEOPLE WHO WERE EX PATS, THEY WERE CONCERNED ABOUT THIS NEW REGULATION BOUGHT IN BY THE NEW GOVERNMENT TWO YEARS AGO CALLED THE ROLL OVER, I WAS LOOKING FOR THIS TO BE INCLUDED IN THE ARTICLE, I WANTED MORE CLARITY REGARDING THIS SUBJECT. FROM HOW IT WAS EXPLAINED TO ME IT SEEMED QUITE UNFAIR, HOW CAN ONE LIVE AND CONTRIBUTE TO A COUNTRY FOR SO MANY YEARS AND BE TOLD THEY HAVE TO LEAVE, WHAT ARE PEOPLE SOPPOSED TO WHEN THEY GO BACK TO THEIR HOME OF ORIGIN, WHEN NO PREPARATIONS HAVE BEEN MADE FOR THEM TO RETURN. i MAY BE GETTING THE WRONG END OF THIS ROLL OVER, COULD YOU CLARIFY THIS FOR ME, I WOULD BE GREATFUL. THANK-YOU FOR THIS WEBSITE IT GIVES YOU A LOT OF INFORMATION!!!!!!!!!!!!!!!!!!!!!!!!!!!!!!!!!!!!!!!!!!!!!!!!!!!!!!!!!!!!!!!!!!!!!!!!!!!!!!!!!!!!!!!!!!!!!!!!!!!!!!!!!!!!!!!!!!!!!!!!!!!!!!!!!!!!!!!!!!!!!!!!!!!!!!!!!!!!!!!!!!!! This site is provides helpful information for anyone interested in the Islands and people of Cayman. However, there is a critical gap in the historical record from the 1950's, 60's and early 70's. Actually, the growth of tourism, construction and financial institutions in Grand Cayman started in 1965 with the development of the Northside at Cayman Kai (1964-65) the opening of The Canadian Imperial Bank of Commerce, expansion of The Royal Bank of Canada and further hotel development on Seven Mile Beach. The Oral history records may provide more information on this 30 year period which is when the Cayman Islands came into the modern age. During this time, the airport was expanded to accept jet service. The government controlled the Mosquito population, education expanded Cable & Wireless telephone service was launched and electricity was brought full time to the Georgetown district and expanded island wide. Thank you, for the information I will get a great grade on this assignment about the Cayman Islands. I am wondering about J. Foots, the sculptor. Did he stop working on his project on Cayman Brac? Is he alive and well elsewhere? Will he return and work some more? Thinking of visiting. The information provided is well-rounded and very informative. Thank you! this was really good info. im doing a poster-project on this country, and i found these articles extremely helpful and informative. though i wont have to use info about the government, i enjoyed learning abut the culture. Great site! Tons of really good info. I love the no tax! My husband and I spent time on the island in 1961. We stayed in a home on a rocky beach and had our meals (turtle usually), with the family! Mosquitos were fierce! The water was crystal clear for free diving, and there were hardly any tourists on the island. We were entertained by a couple (either Bodden or Ebank) at their home. I had met the wife in Miami where she was staying after having a baby. 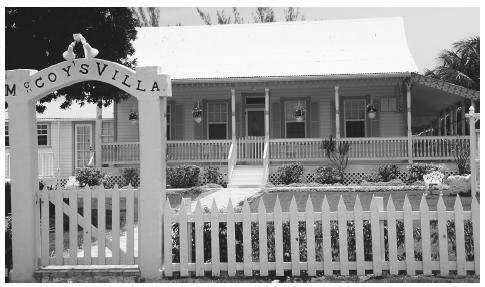 During her stay in Florida their accommodations on the island had been forcibly taken over by the opposing family, otherwise we would have used their guest facilities. Just walking on the roads was a hassle because the Mosquitos were so plentiful and if a car saw you trekking along they stopped and picked you up to keep you from being eaten by these varmints!!! The history of the Bodden-Ebank animosity and the pirate history of the island is fascinating . There should be more written about this by someone better informed than me, for it was a hoot of a tale when we visited. Too bad the quaint island has changed so much from what I read, but the folks then were friendly and laid back and I hope their ways have continued. I am from the Cayman Islands and I can personally tell you that the hospitality and friendliness of Caymanians have not changed. We are still humble and pleasant and still very much laid back. There is a lot of information about the Cayman Islands that are not told or spoken of but this article forum as done well with the information that they were able to put together. My daughter in law just came back from the Cayman Island. She spoke of a shoreline burial headstone of a woman named Teresa Marie Howard. Can you tell me more of the back story regarding this woman? We are planning a trip with children to Cayman Island. Is there any area that we should be careful of.